I saw that some of you had music production setups as well from the setup pics. I was thinking this thread could be used for posting links to where we post our tunes. Thought it would be cool for everyone to share their talents to our fellow surfers. 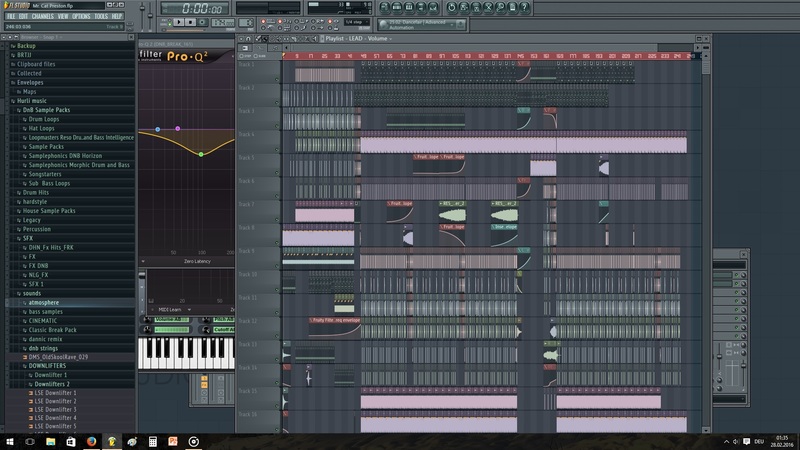 I'd like to make some kind of electronic music someday, but holy moly does it look hard and time consuming. Yea it is X3. I took me about 3 years to figure out what i was doing. Then after that it was about getting better. There's also lots of tutorials on yt that help with basic things such as understanding what to do and etc. But once all that's out of the way, its fun . Maybe I'll try for it someday, but I don't think I really have a lot of time right now to start learning. It would be cool, though. Your chill stuff is dope, well done man. Insomnia wrote: I'd like to make some kind of electronic music someday, but holy moly does it look hard and time consuming.